Ra.One movie fans across the nation have yet another reason to celebrate with the launch of the Ra.One games that took place today. 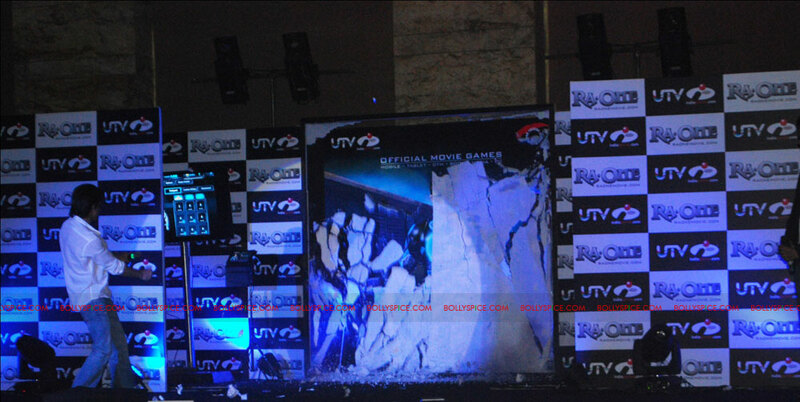 The Ra.One-India Games launch event was LIVE streamed today and the Ra.One games are now just a click away – http://game.raonemovie.com/. One finds that the gaming and marketing concept too has been taken to the next level with the launch of three types of Ra.One games – the action packed social game, the casual game, the G.One Adventure featuring Little G.One and the DTH/Java game. The Ra.One Genesis Game is also now available for all to purchase and the game brings to life G.One’s ten nemeses that represent the ten faces of the Indian mythological character, Raavan. When asked as to how important the game is to the movie, Shah Rukh Khan replied, “People can’t stick to posters & trailers anymore. Promotion has to be entertaining & that’s why the games.” The response generated during and after the LIVE event, confirms the fact that fans are now definitely game for Ra.One Genesis.